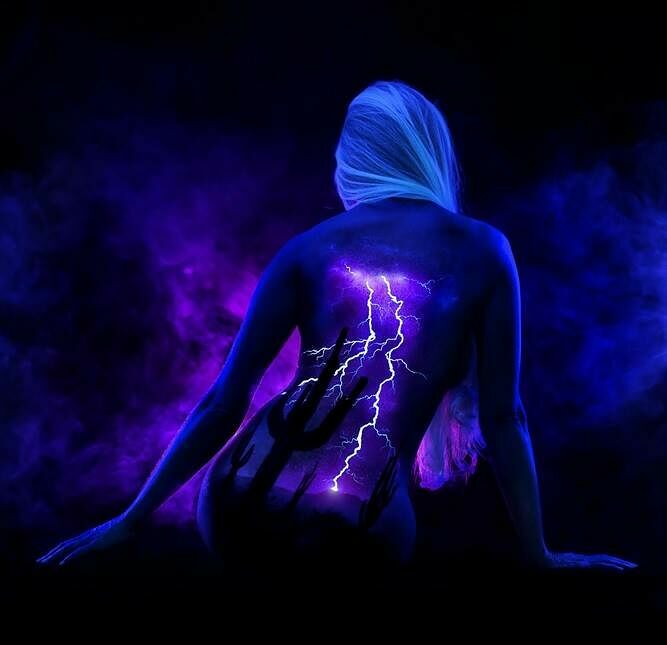 UV Body Painting - "Shelter From the Storm"
Artist and photographer John Poppleton uses the human form as his canvas working with blacklight body paint, but what he creates is unlike any body painting you've seen before. After spending many years as a wedding photographer, he decided to try something totally different and started experimenting in different formats. 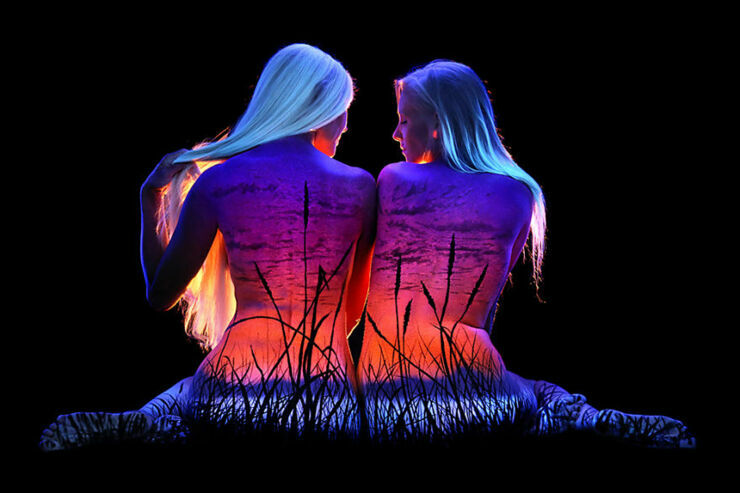 After trying out various creative mediums Poppleton came upon the idea of painting using blacklight body paint, (also known as fluorescent body paints), airbrushing or paint brushing them onto the naked female form to create his unique UV body art. 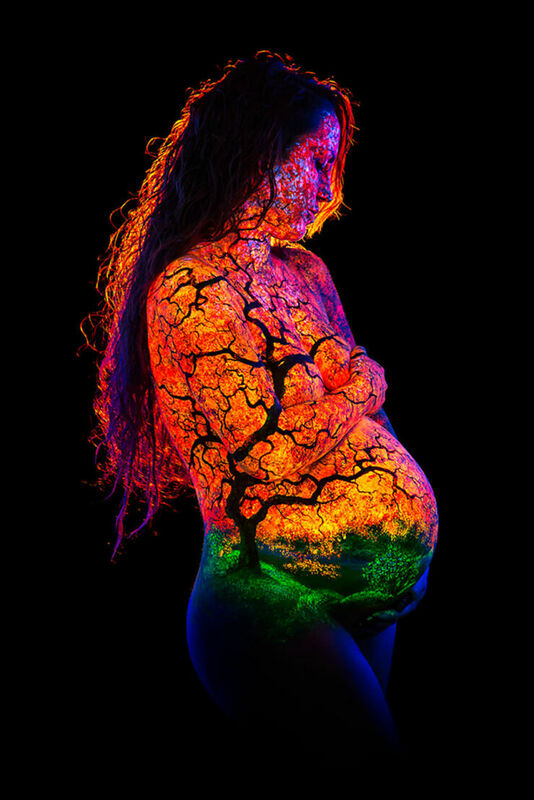 Once he's painted his scene, be it a landscape, a nebula, or the sky-at-night, he then photographs the models under UV light in his studio to capture his unusual and spectacular bodyscapes. 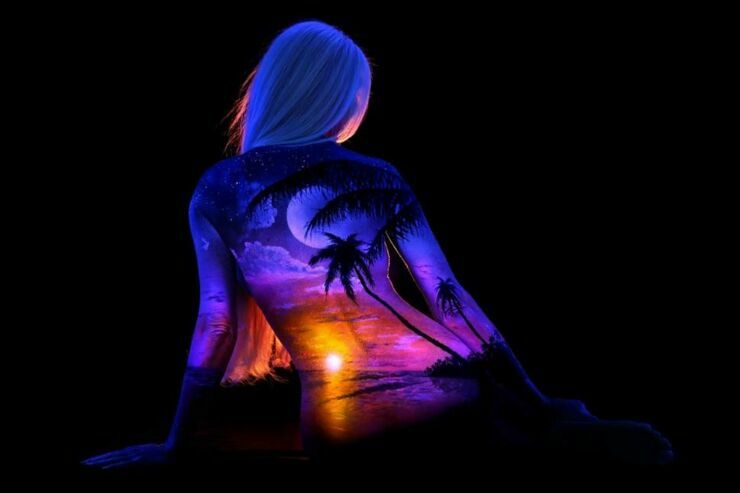 Typically they take around two hours to create and should you desire it, you too could have one painted on your body by "The Bob Ross of Black Light Body Painting." 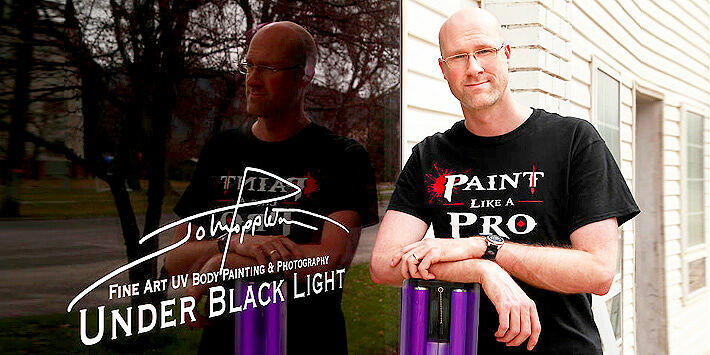 It's always been John’s goal to create something original and different but fantasy portraits were never part of the plan. “I wasn’t looking for it, it found me”, recalls John. 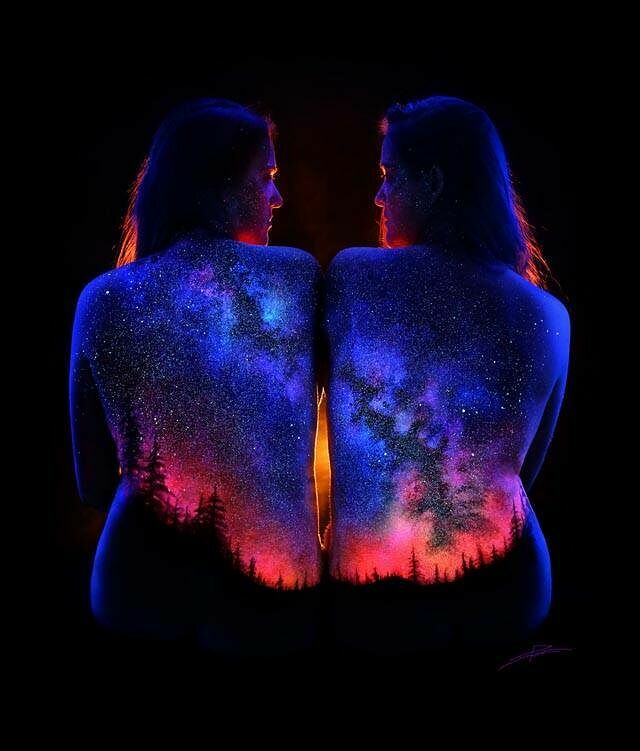 I’ve always been in awe and wonder of the beauty found in nature. Inspired by the colors and textures found in sunsets. 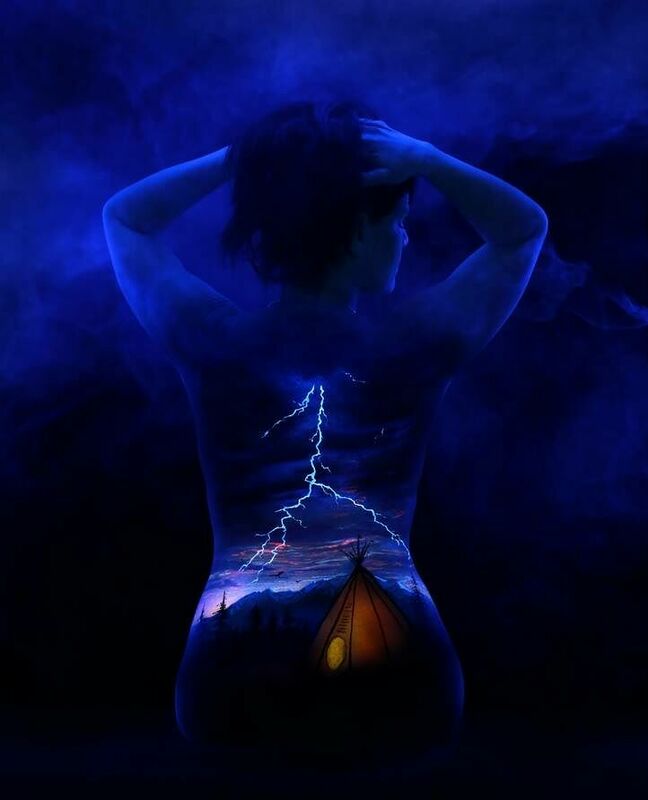 The excitement and anticipation of the next lightning strike with its thunderous heart pounding report. Majestic waterfalls to sublime mountain skylines with their reflections in the still lakes found beneath them. 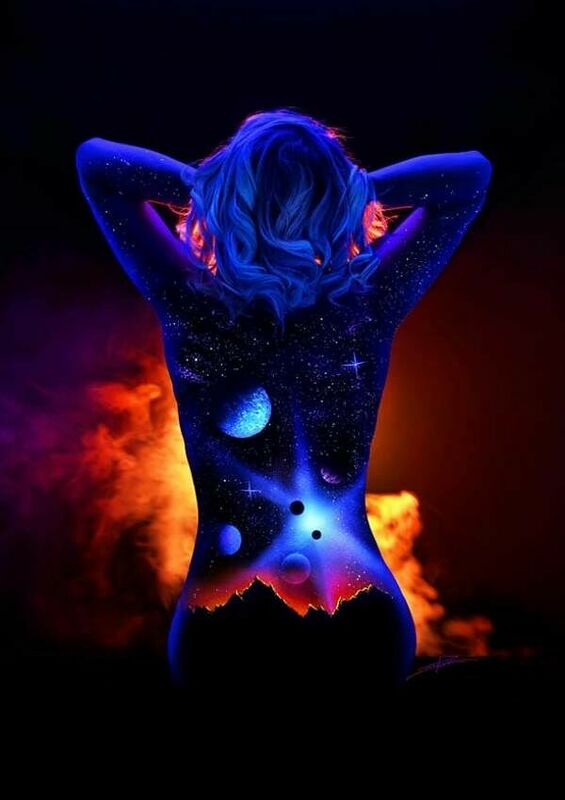 From the eerie allurement of the Northern Lights to the cosmic artistry seen throughout the universe. 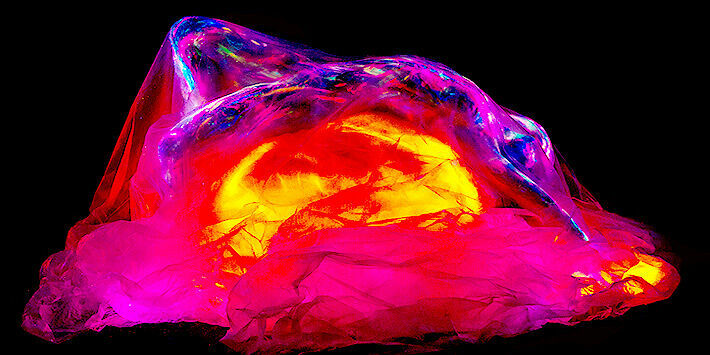 Black Light Bodyscapes combines the beauty of the female form with the splendor of God’s creations found in this world and worlds beyond. 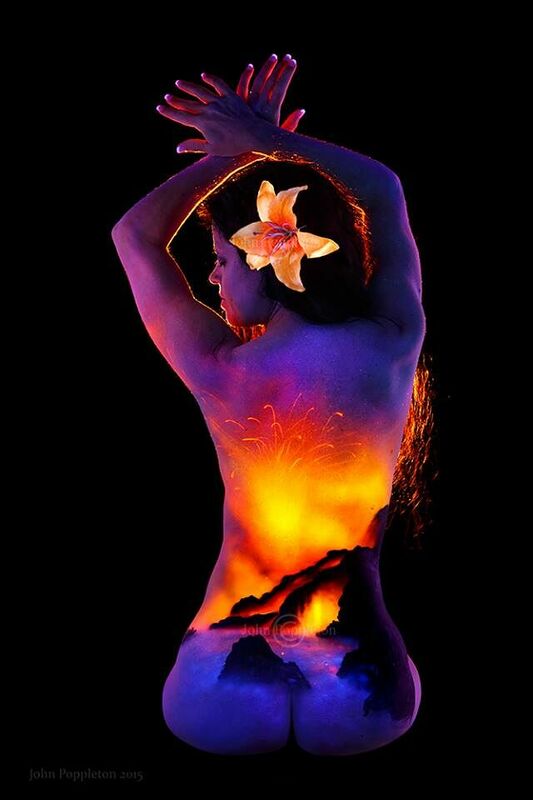 Using temporary fluorescent blacklight body paint materials the scenes are painted directly on the skin and photographed in modest poses to create a piece of art that is as unique as you are. Although the results of his creative endeavors are amazing they kind of remind me of the Three Wolf Moon tee somehow. 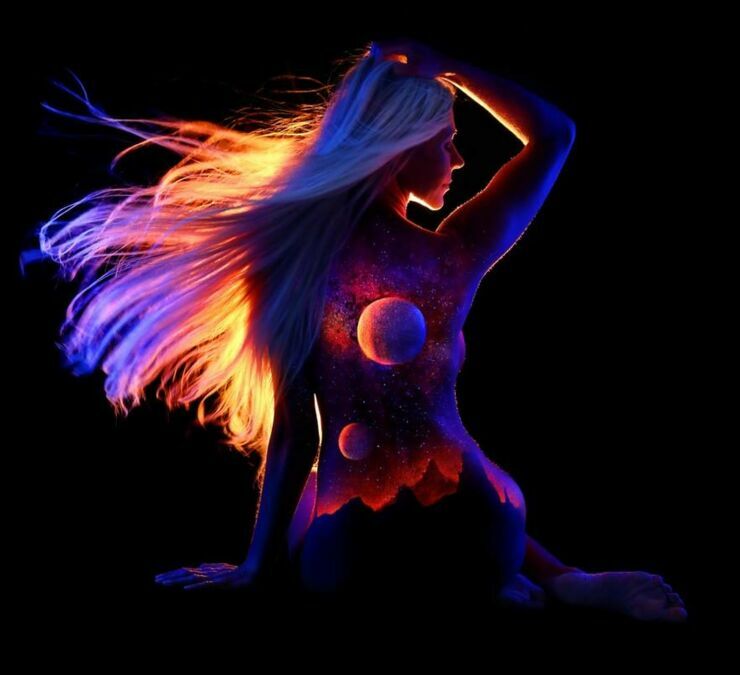 Maybe they bestow magical properties on the person being painted. Check them out below.